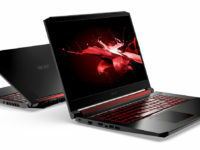 The Acer Triton 500 manages to cram impressive gaming hardware into a light and slim chassis. If you need a slim gaming rig that you can tote around for your next gaming match this comes highly recommended. 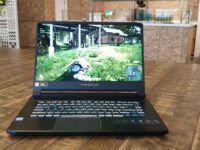 Gaming notebooks worth their salt are typically massive behemoths that fling mortal concerns such as portability and lightness straight out the window but Acer’s latest gaming notebook is not only powerful enough to tackle the latest titles but is absurdly slim to boot. Enter the Acer Predator Triton 500. 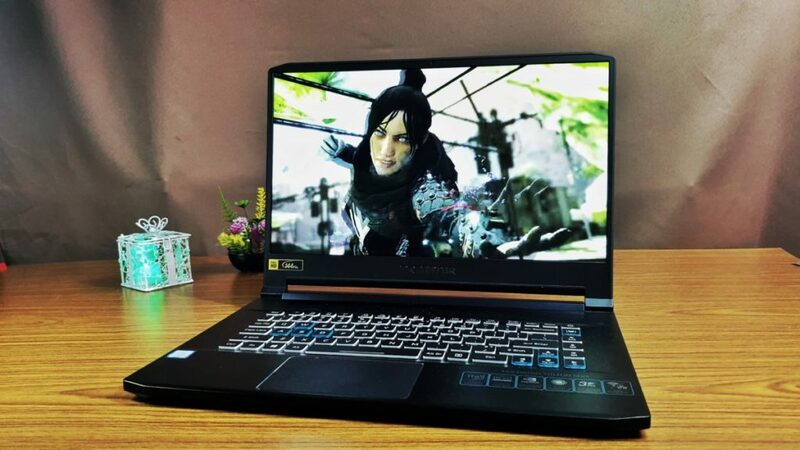 Externally, the Triton 500 has dimensions that are just slightly larger and chunkier than an ultraportable at 18mm thin and at just 2 kg on the weighing scales but it packs some serious gaming hardware including the latest eighth generation Intel Core i5-78300H processor, an NVIDIA GeForce RTX 2060 GPU and a hefty enough cooling setup to keep you gaming well until the cows come home. The finish on the Triton 500 consists of a matte black paint job embellished with an RGB backlit Predator logo inlaid with blue trim on the top lid along with the brand’s characteristic triangular vent grilles covered by blue wire mesh all around. Build quality is exceptionally sturdy with a combination of light plastic and aluminium across the chassis for weight savings. The left side sports an Ethernet port, a HDMI out, a USB 3.1 Gen 1 port and a headphone as well as a microphone jack. The right side comes with a Thunderbolt 3 port, a mini-DisplayPort, a pair of USB 3.1 Gen 1 ports as well as a Kensington lock slot. This array of ports means that you can hook up to three other additional displays via the HDMI port, the mini DisplayPort and the Thunderbolt 3 port if you deign to do so for a multi-screen gaming setup. The underside comes with a quartet of rubber feet to keep it from sliding off a table to oblivion along with a pair of downward firing stereo speakers emplaced near the lower front edge of the bottom panel enhanced with Acer’s TrueHarmony and Waves MaxxAudio software for better aural oomph. The hinge mechanism is well balanced such that you can open the Triton 500 one-handed without undue effort all the way to a 180-degree face-up position if needed with the lid staying where you want it to with minimal wobbling. The top lid is also sturdily built with no give or play. Flip the lid up and you’re greeted by an RGB backlit keyboard and a generously sized touchpad. 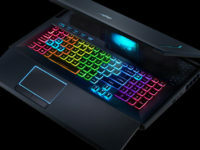 Of note is that the W,S, A and D keys have been specially singled out of the whole line-up with teal-hued keys along with the direction pad and a dedicated key that fires up the Notebook’s Predator Sense menu that lets you manipulate the built-in RGB lighting, cooling fan speed for the CPU and GPU and the option to overclock the Triton 500 or alternatively via a hardwired button in the upper left quadrant of the keyboard. The Triton 500 is well equipped on the display front with a 15.6-inch Full HD IPS panel that has a 144Hz refresh rate, a 3ms response time and NVIDIA G-Sync support which allows it to keep pace with more intensive fast action shooters like Overwatch. 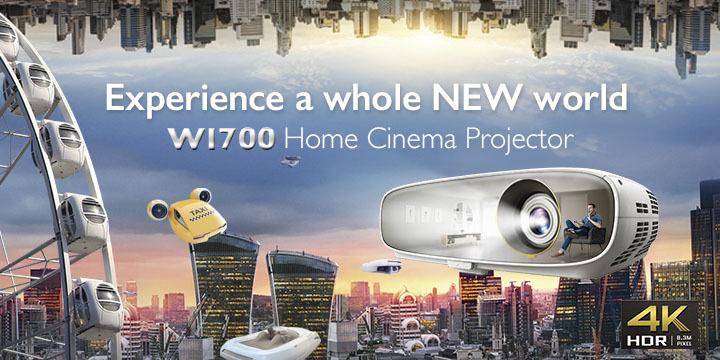 The display has exceptionally slim side bezels to offer an impressive 81% screen-to-body ratio though the bottom edge remains rather chunky with the top edge sporting slight beveling for aesthetic reasons as well as a webcam. One oft neglected aspect of design is a notebook’s power brick with more powerful setups hosting not one but two actual brick-sized chunks that you have to tote around but the Triton 500’s power brick is a surprisingly compact affair that’s slightly smaller than a paperback novel though it is a wee bit denser. As far as build quality goes, the Triton 500 does not disappoint with top notch quality and a superb fit in every aspect of its build with novel additions to its design like its teal-hued mesh covers that make it distinctive out of the plethora of gaming notebooks out there. 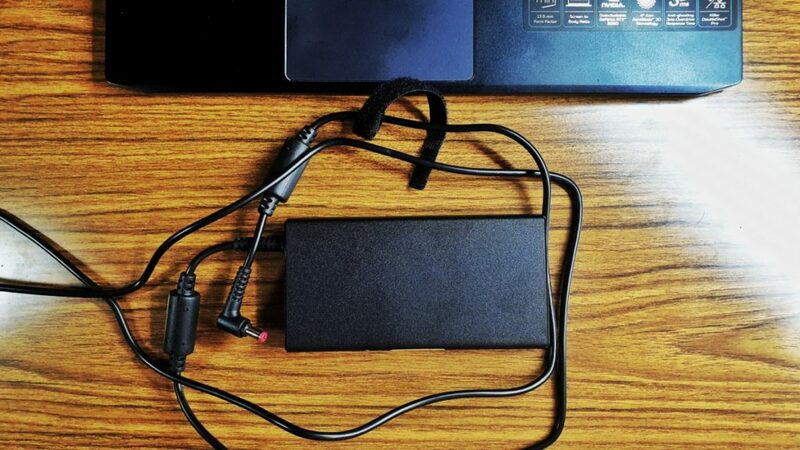 What’s most important though is that it’s slim enough that you can feasibly load it along with its power brick in your backpack for a day out without having to put your physiotherapist on speed dial afterwards. 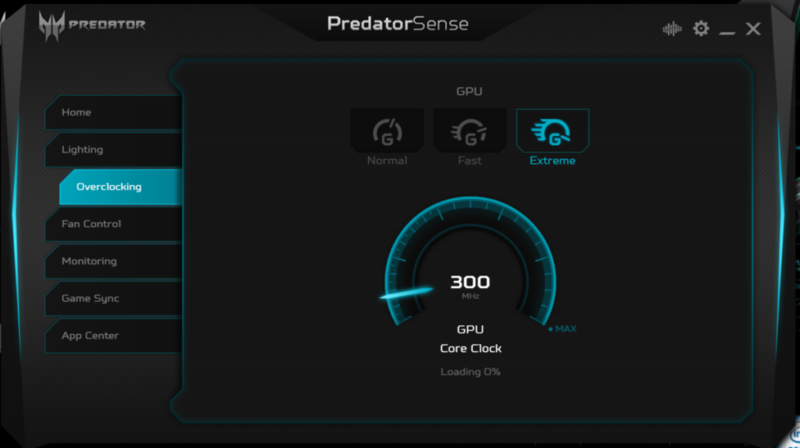 Under the hood, the entry level variant of the Acer Predator Triton 500 intended for the Malaysia market comes with a respectable array of hardware that makes it both portable and powerful. Powering the whole affair is an eighth generation Intel Core i5-8300H processor paired up with 16GB DDR4 RAM, a 512GB PCIe NVME SSD that consists of a pair of 256GB SSDs in Raid 0 configuration and a spanking new NVIDIA GeForce RTX 2060 graphics card. The NVIDIA GeForce RTX 2060 incorporates the new Turing architecture that features a number of enhancements like Deep Learning Super Sampling (DLSS) and Real Time Ray Tracing (RTRT) for more realistic lighting effects in supported games of recent vintage such as Battlefield V and Anthem as well as 60% better performance than the last-gen GTX 1060. 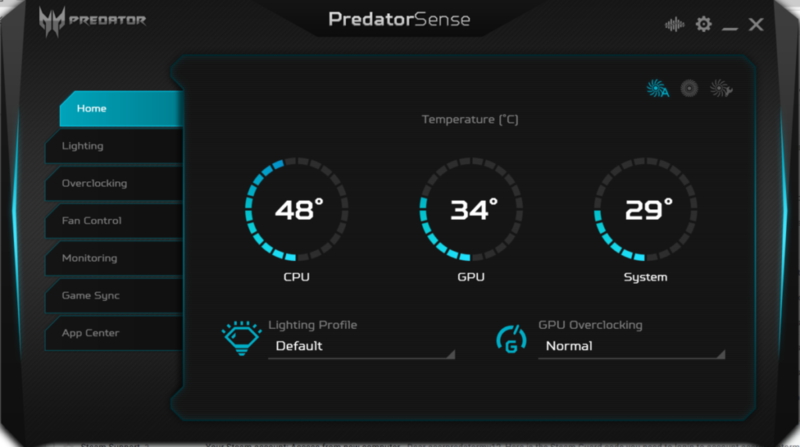 In keeping with many gaming notebook brands these days, the Triton 500 has its own customised Predator Sense app that helps you to customise your notebook’s lighting profile, manipulate fan speed, overclocking and also see internal temperatures at a glance. To keep it cool, the Predator Triton 500 has a grand total of three fans and five heat pipes which go a long ways to keep heat under control. Taken as a whole, the Triton 500 has a pretty solid spec sheet though you’ll likely have to rotate your library of installed games fairly often as most high-end titles easily have install sizes averaging 30-50GB or more. Still, what you have in its stock configuration is more than adequate to have a dozen high-end titles installed with space to spare. When taken for a whirl around the block, the Triton 500 proved to be delightfully fast and responsive. In terms of synthetic benchmarks, we took it for a spin with its Turbo mode off and on to see what it can tackle in its full glory. Without Turbo mode, the Triton 500 was still pretty beastly and handled most non RTRT titles without undue trouble at 1080P with decent frame rates. Turn Turbo mode on though and the Triton 500’s built in cooling fans ramp up in speed from a whisper to a terrifyingly impressive wail even as it overclocks the hardware akin to an Airwolf attack chopper (look that up kiddos). With Turbo mode off, the Triton 500 got a single-core score of 4,447, a multi-core score of 13,295 and an OpenCL score of 59,120 points in GeekBench 4. In Cinebench R15, it got an OpenGL score of 29.38fps and a CPU score of 542cb. In PCMark 10, which tests for real-world productivity usage, the notebook got a respectable score of 4,945 while in 3DMark’s TimeSpy test it got 5,470 points. The Triton 500 is VR ready too for current hardware and score 6,962 points in the VRMark Orange Room test meaning that it ought to be able to tackle a HTC Vive or Oculus Rift rig without too much trouble. 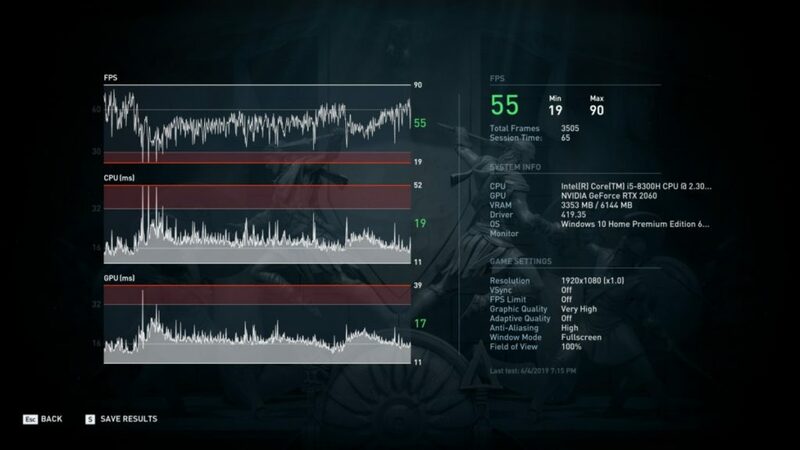 In Assassin’s Creed: Odyssey’s internal benchmark test with very high graphic quality at 1080P resolution with Turbo off, it scored an average of 55fps with a maximum of 90fps and a minimum of 19fps. With Turbo mode on, the Triton 500 managed 5,835 points in 3D Mark’s TimeSpy test and 4,874 points in the PCMark 10 test. It also managed to achieve a stunning 204,715 points in the OpenCL test, a single-core score of 4,873 points and a multi-core score of 16,966 points in Geekbench 4. In Cinebench R15, the Triton 500 got 103.58 fps in the OpenGL score and a 799cb CPU score. In VRMark’s Orange Room, it managed a score of 6,791 points. 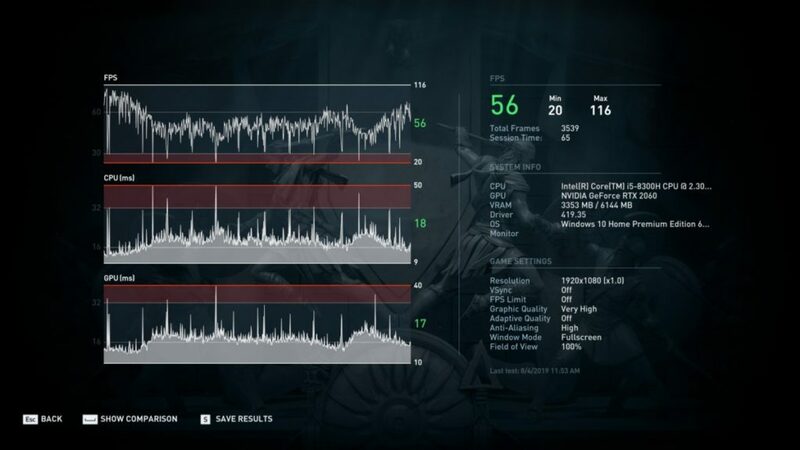 In Assassin’s Creed Odyssey at similar 1080P resolution with very high graphics quality, it got an average of 56fps with a maximum of 116fps and a minimum of 20fps. 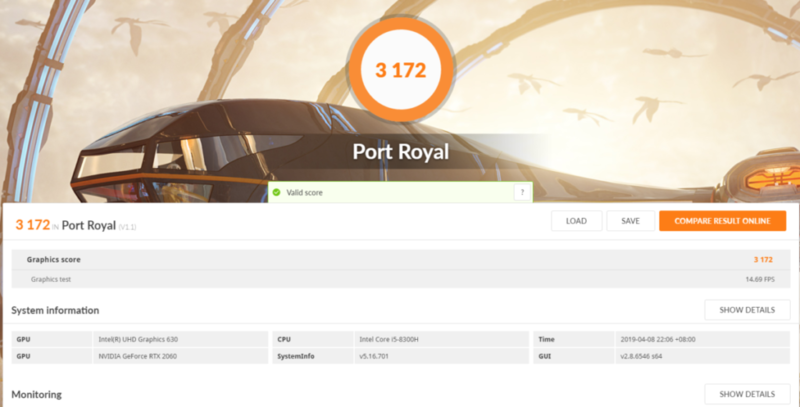 All these benchmarks test its capabilities to tackle conventional gaming but 3DMark’s Port Royale benchmark which tests real time ray tracing capabilities delivered rather interesting results. Without turbo on, the Triton 500 measure a very middling 821 points and chugged its way through the test. Fire up Turbo though and it yielded a very respectable 3,172 points which shows its ray tracing chops. Benchmarks aside, we put it through several hours of gaming with titles across a variety of genres. In Battlestar Galactica: Deadlock and Sins of a Solar Empire: Rebellion, both space strategy titles that can be somewhat taxing when you involve large fleets of capital ships and fighters duking it out with particle effects, the Triton 500 managed to keep things ticking along nicely without noticeable lag or frame rate drops. In Far Cry New Dawn, CS:GO and Apex Legends on full HD on high settings, the Triton 500 ran them all smoothly even with a large number of targets and explosions onscreen. There’s a dearth of games that support ray tracing and DLSS at the time of this review was published though the Triton 500 comes with a free game with your choice of either Bioware’s Anthem or EA’s Battlefield V both of which take advantage of NVIDIA’s potent ray tracing technologies and the power of the GTX 2060 GPU. Our test unit had Anthem installed and playing it was a real treat indeed with smooth frame rates and luscious visuals with RTX and DLSS enabled though we weren’t able to discover a discernible different in lighting with or without RTX on and the dearth of games that use these features means there isn’t much of a sample size to compare with at this point in time. 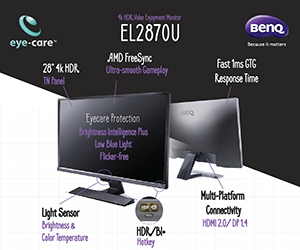 The provided display was excellent with good viewing angles while delivering pin-sharp detail and colour rendition with the 144MHz refresh rate ensuring that it kept pace with fast-paced gaming like Apex Legends. The provided speakers are pretty decent and while they don’t have a particularly wide soundstage, they are fortunately loud and have a sufficient amount of bass to make more action-laden games a treat to play. As with many other gaming notebooks, keyboard quality is paramount for an optimum typing and gaming experience and the Triton 500 does not disappoint in that regard. The keys proved responsive and well spaced enough that touch typing was very viable indeed though you’ll still need to get a decent mouse for serious gaming. 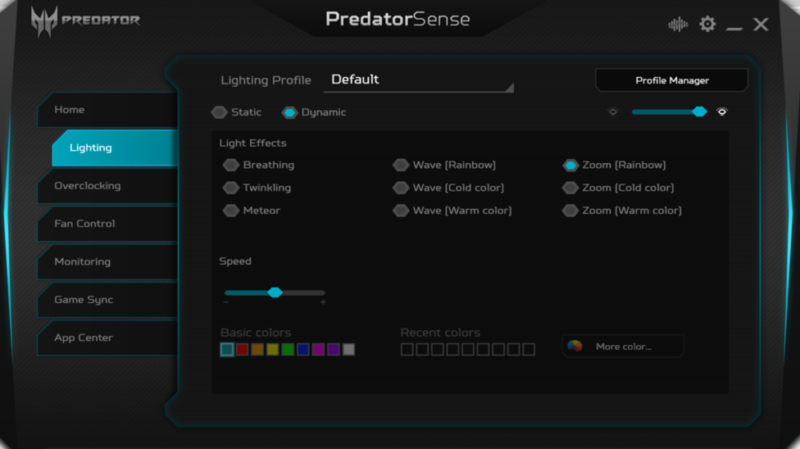 Alas, you can’t individually control the RGB lighting on a per key basis with the whole keyboard acting as a single colour zone albeit one that you can customise to some degree. If your pockets are suitable deep enough, you can also opt for the higher specced variants of the Triton 500 with the mid-tier variant which retains all the hardware of the entry-level variant we tested but which upgrades the CPU to an Intel Core i7-8750H processor for RM7,599. If you have RM8,699 in change lying around, you can get the top of the line variant that keeps the Intel Core i7-8750H of the midtier version but upgrades the GPU to an NVIDIA GeForce RTX 2070 with 8GB GDDR6 VRAM. 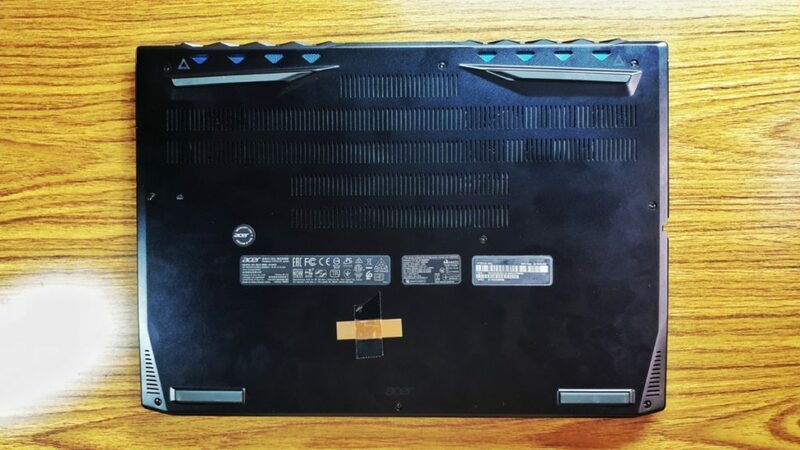 While the Triton 500 is an exceptionally portable and powerful gaming rig, it still doesn’t quite resolve the classic problem befalling gaming notebooks – battery life. Without turbo on, the Triton 500 lasts slightly north of four hours of battery life with basic productivity work. In any case, turbo mode won’t work until you’re hooked up to the mains though the Triton 500 is still way ahead of the curve and outguns most ultraportables even without turbo mode on. 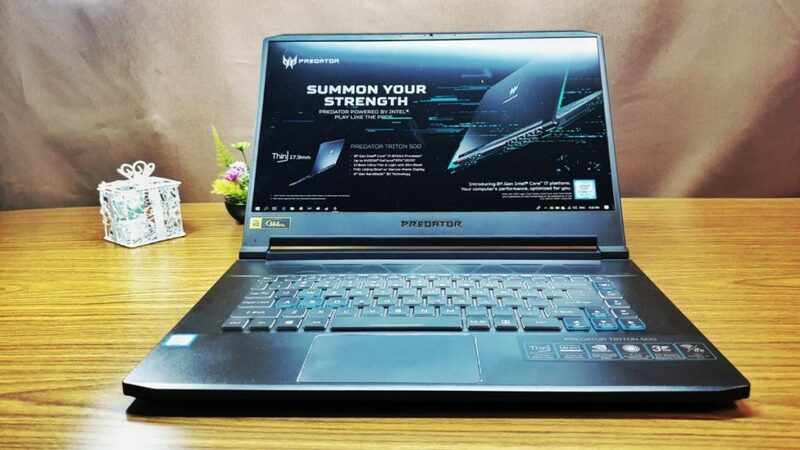 As it stands, the Predator Triton 500 is a premium notebook that is both good looking and powerful though it still pales to its better specced and pricier sibling with an eighth gen i7 processor and an RTX 2070 GPU. There’s a dearth of games that take full advantage of ray tracing and DLSS but it does help to future proof the Triton 500 to conceivably tackle games for the next few years down the line in a capable fashion. 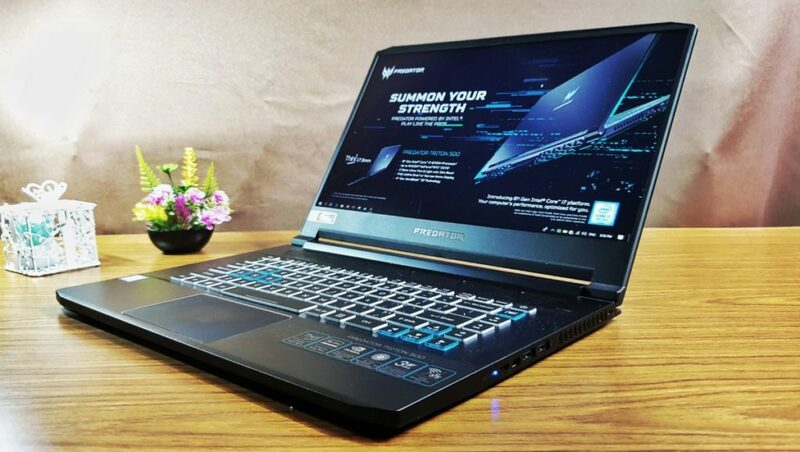 If you’re looking for one of the slimmest and lightest gaming notebooks with an NVIDIA RTX card, the Predator Triton 500 is well ahead of the pack. We say The Acer Triton 500 manages to cram impressive gaming hardware into a light and slim chassis. If you need a slim gaming rig that you can tote around for your next gaming match this comes highly recommended.